Teaching English abroad is an excellent way to broaden your horizons and at the same time gain valuable life and career experience. Do you want to travel to exotic locations? Are you looking for a job that is exciting, challenging, and in high demand? Can you work well living in a new and unfamiliar environment? Are you looking for a way to earn money and enjoy new experiences at the same time? Do you want to pay off your student loans? Do you wish to gain a new perspective on life? Very few of our TESOL (teaching English to speakers of other languages) graduates have regretted their decision to teach ESL (English as a second language), earn money, and travel the world. 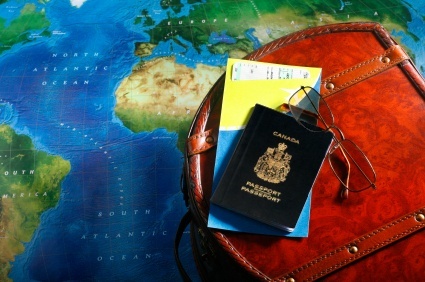 Employers look favourably upon individuals who have taken the initiative to go abroad and work in a different country. Younger graduates without extensive prior work experience discover upon their return that their overseas teaching employment becomes invaluable in opening doors to job opportunities and career choices that were previously unattainable. Having overseas teaching experience is a unique asset that differentiates many of our graduates and gives them a competitive advantage when applying for other jobs upon their return from abroad. Graduates who are planning to continue in the education field find that their overseas teaching experience becomes a valuable asset when applying for education degrees. As the desire to learn English has increased, so too has the profile of the people who teach it. The number of qualified and experienced English teachers has grown with this rise in demand. As a result, a much higher proportion of job-seekers than ever before have TESL (teaching English as a second language) certification and language schools around the world are becoming more selective when hiring their teaching staff. If you decide to relocate overseas to teach ESL, you have to be fully prepared to do so, and one of the easiest ways to ensure that you are prepared is to get your certification. Not only does this make finding teaching jobs much easier, but certification also gives you peace of mind. Obtaining your certification tells potential employers that you are prepared and serious about teaching, and that you are taking your employment with their school seriously. Our highly trained, dynamic instructors focus on providing you with the practical classroom skills you need to become an effective ESL teacher. We cover a wide range of ESL teaching strategies. During the course, you will be exposed to a variety of concepts which can be found in our detailed Course Outline. Oxford Seminars offers a Graduate Placement Service to all graduates of the TESOL/TESL certification course. Our Graduate Placement Service provides assistance with finding the most rewarding teaching jobs at ESL schools around the world. We have formed partnerships with many ESL schools worldwide that are searching for certified ESL teachers. Our Job Search Advisors provide timely job placement assistance to help make your experiences teaching overseas as successful and rewarding as possible. In the coming months, we are holding TESOL Information Sessions on college campuses across Canada and the US, where you can learn more about our course, and about the exciting opportunities to teach and travel abroad. These free Information Sessions will help to answer all of your questions regarding teaching English overseas. Each session covers a multitude of questions regarding employment opportunities abroad. Students registering at an Information Session will receive a $50 discount and are eligible to enter a draw for a free TESOL/TESL course. There are over 20,000 ESL teaching jobs available monthly. We connect our graduates to these jobs through resources such as our Global ESL Schools Directory and our Graduate Placement Service. Our graduates have found jobs teaching English in countries such as Korea, China, Japan, Taiwan, Saudi Arabia, Thailand, Slovakia, Malaysia, Turkey, Costa Rica, Ecuador, Hong Kong, Nepal, and other ESL teaching destinations around the world. Our "Country at a Glance" profiles offer a wide range of details such as peak hiring seasons, visa information, living expenses, and much more. We also offer detailed information about teaching English in other high-interest ESL markets such as Japan, Korea, Spain, France, China, Italy, Mexico, Germany, Russia, and India.